We’re having a wonderful week of Indian Summer. It was 75 degrees yesterday! 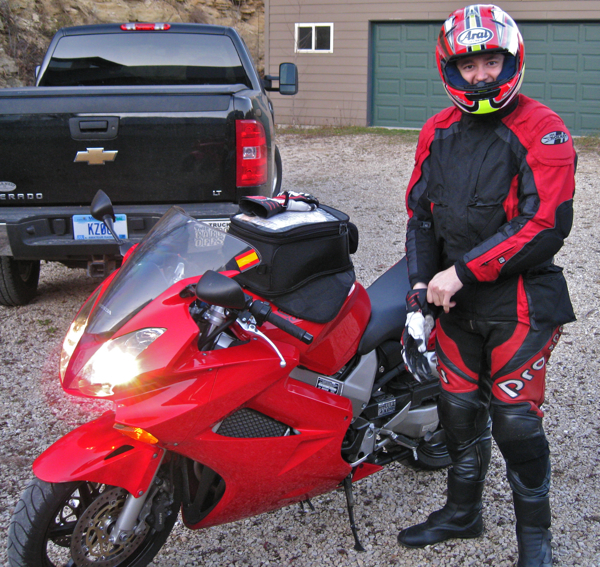 Our friend Carlos drove down on his motorcycle to visit. 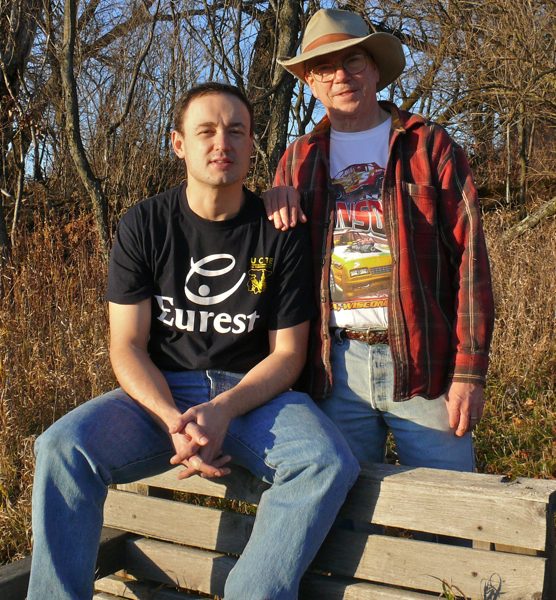 We took him for a long walk, and took the “bench picture” at the Big View Prairie bench. 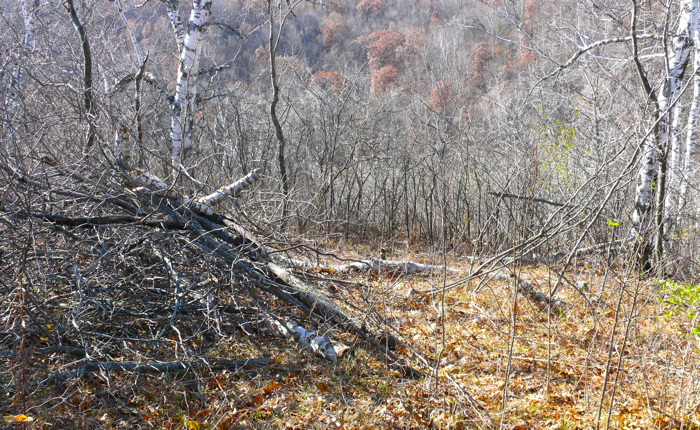 Mike and I have been working on clearing some of the brush on the top of Indian Grass Point – mostly Prickly Ash, Sumac, and Honeysuckle. He cuts things down with the chain saw, and I come along behind and pile up the fallen branches, and spray the stumps with glyphosate. Then Mike moves the piles of branches to our giant brush pile with the Powertrac. This is one area we’re working on, with a pile of cut branches. And this is what it looks like when we’ve finished clearing. 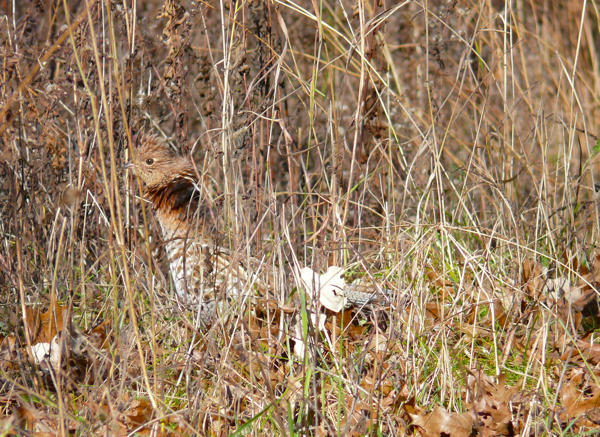 As I was driving up to the point yesterday, A grouse was sitting right in the middle of the trail. 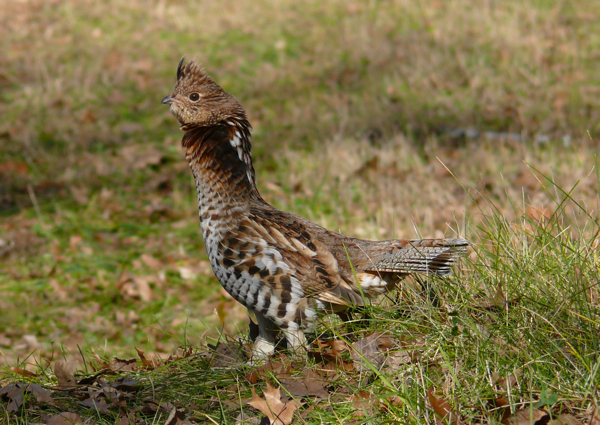 It walked slowly across in front of me, glaring and clucking, and disappeared into the woods. 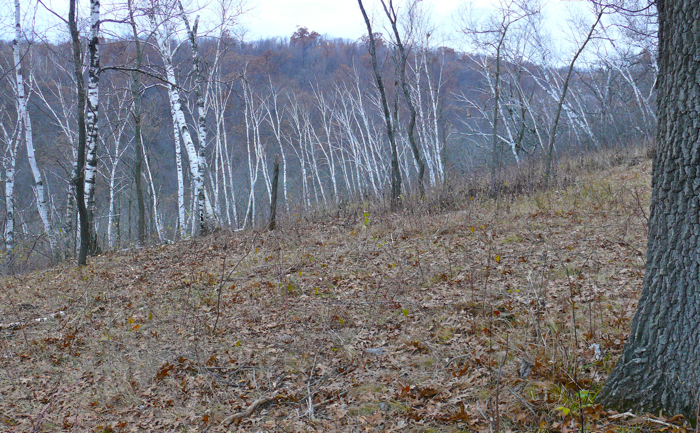 It’s amazing how well its camouflage works – especially at this time of year. Once it got to the side of the trail it blended right into the long dry grasses. 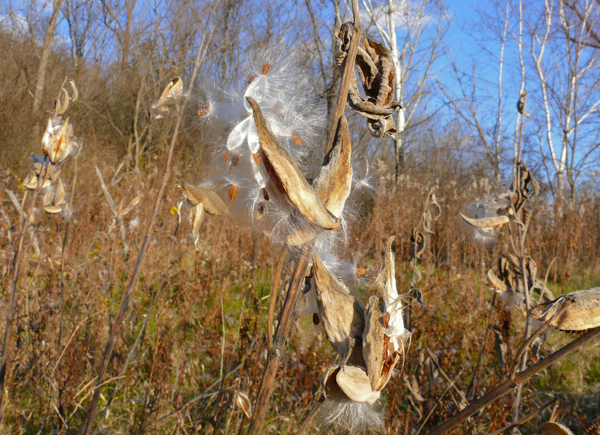 Milkweed seeds are ripe and blowing everywhere. 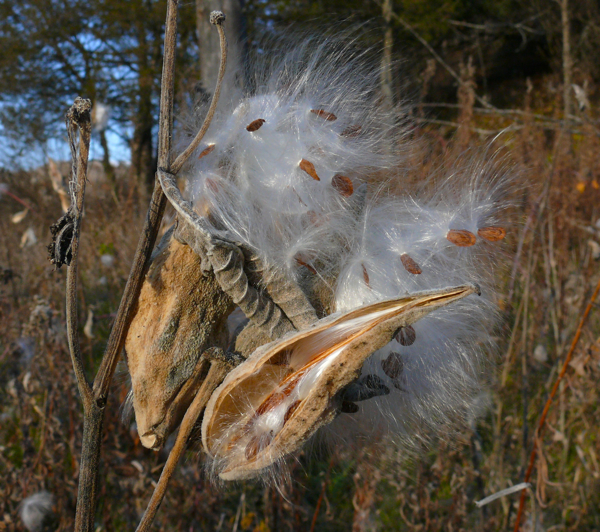 I think the milkweed from our wetland is seeding all of Praag Valley – I sat on Sumac Prairie and watched hundreds of seeds catching the light and sailing down the valley. 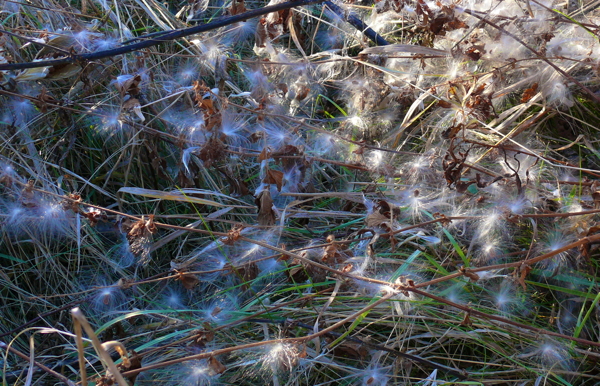 Many of the seeds have fallen off the plants, and are caught in the surrounding grasses. Hopefully they’ll make a whole crop of new milkweed plants. 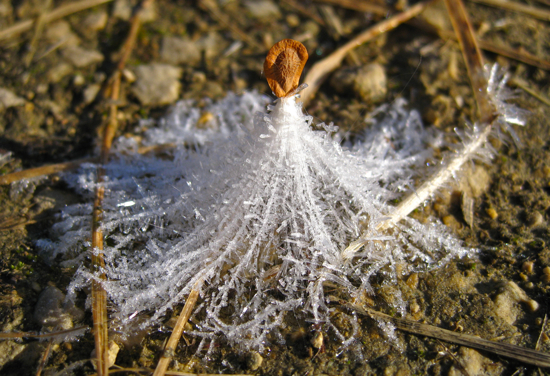 The next morning all the silk was encased in frost. 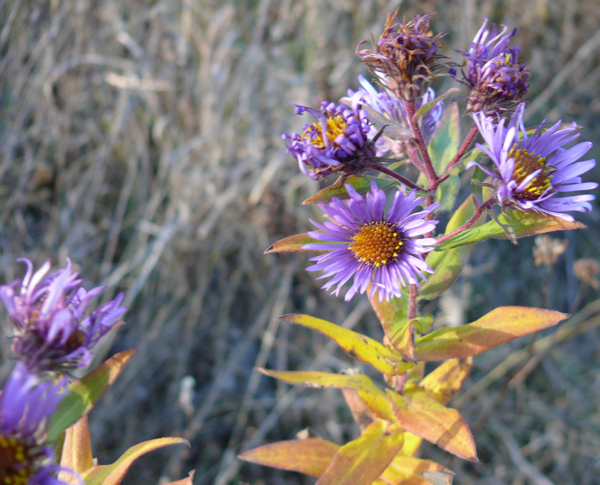 There are still a few flowers blooming – this is New England Aster. And some moths and butterflies still flying. 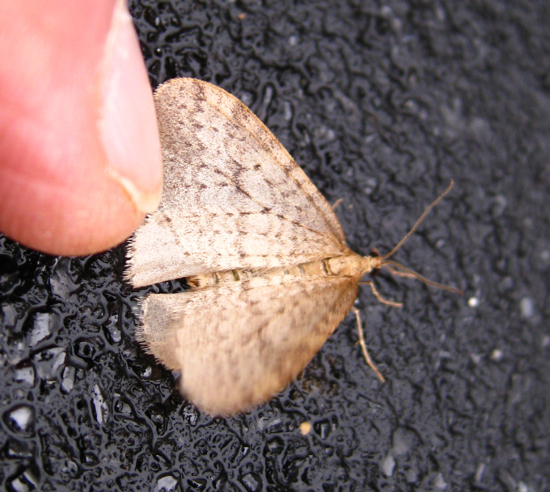 We found this pretty little moth on the road one morning. 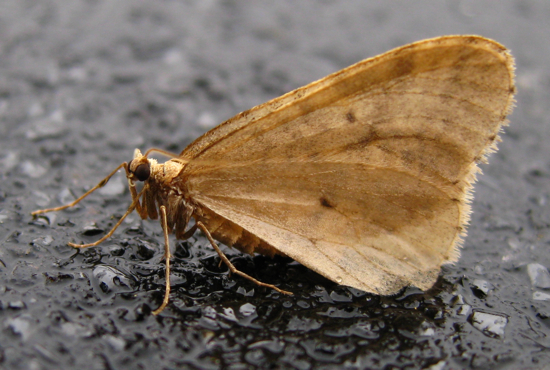 It holds its wings together like a butterfly, but it’s definitely a moth. It was very friendly – probably it was cold – so it was willing to sit on my hand. I haven’t been able to identify it yet. This caterpillar was also crawling on the road. 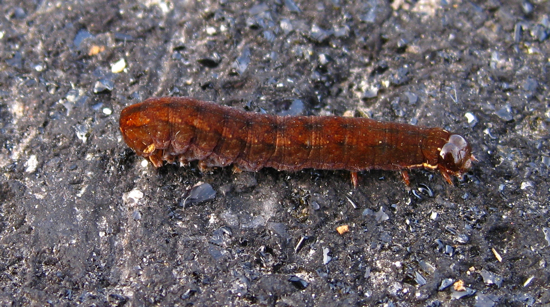 It’s probably a Common Hyppa – a moth caterpillar. 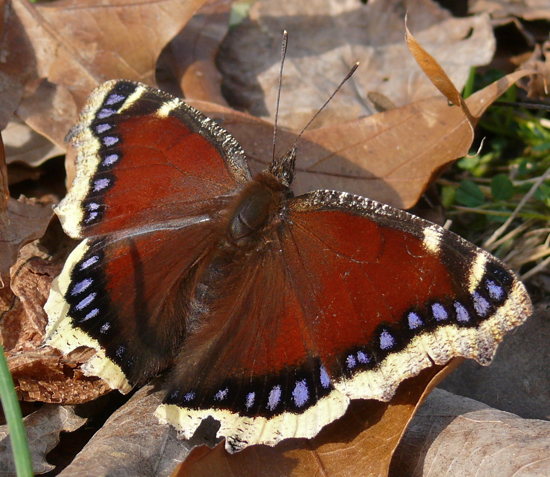 It will spend the winter as a late instar caterpillar, and then pupate in the spring.